One of my clients asked me last week whether it is possible to access and customize individual contour lines and labels in HG2 (Matlab’s new graphics system, R2014+). Today’s post will discuss how this could indeed be done. So how then can we access the internal contour patches and labels? >> drawnow;  % very important! Note that the LineStrip objects here are the same as those used for the axes Axles, which I described a few months ago. Any customization that we could do to the axle LineStrips can also be applied to contour LineStrips, and vice versa. For example, to achieve the appearance of a topographic map, we might want to modify some contour lines to use dotted LineStyle and other lines to appear bold by having larger LineWidth. Similarly, we may wish to hide some labels (by setting their Visible property to ‘off’) and make other labels bold (by setting their Font.Weight property to ‘bold’). There are really numerous customization possibilities here. But how did I know these properties existed? The easiest way in this case would be to use my getundoc utility, but we could also use my uiinspect utility or even the plain-ol’ struct function. p.s. 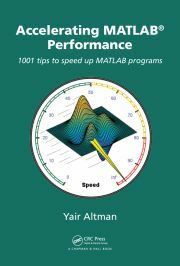 – there’s an alternative way, using the Java bean adapter that is associated with each Matlab graphics object: java(hContour). Specifically, this object apparent has the public method browseableChildren(java(hContour)) which returns the list of all children (in our case, 41 text labels [bean adapters], 20 lines, and a single object holding a ListOfPointsHighlight that corresponds to the regular hidden SelectionHandle property). However, I generally dislike working with the bean adapters, especially when there’s a much “cleaner” way to get these objects, in this case using the regular EdgePrims, FacePrims, TextPrims and SelectionHandle properties. Readers who are interested in Matlab internals can explore the bean adapters using a combination of my getundoc and uiinspect utilities. drawnow;  % this is important, to ensure that FacePrims is ready in the next line! Similar transparency effects can also be applied to the LineStrip and Text objects. A discussion of the various combinations of acceptable color properties can be found here. Next, how can we set a custom context-menu for individual labels and contour lines? Unfortunately, Text, LineStrip and TriangleStrip objects do not posses a ButtonDownFcn or UIContextMenu property, not even hidden. I tried searching in the internal/undocumented properties, but nothing came up. This seemed simple enough, but failed spectacularly: it turns out that because hContour.HitTest='off', mouse clicks are not registered on this objects, and on the other hand we cannot set the ButtonDownFcn on the primitive objects because they don’t have a ButtonDownFcn property! Who said life is easy? This article should be a good start in how to code the displayTextContextMenu etc. functions to display a context menu. Where updateLabels is a function were you set all the new labels. I am marking this article as “High risk of breaking in future Matlab versions“, not because of the basic functionality (being important enough I don’t presume it will go away anytime soon) but because of the property names: TextPrims, EdgePrims and FacePrims don’t seem to be very user-friendly property names. So far MathWorks has been very diligent in making its object properties have meaningful names, and so I assume that when the time comes to expose these properties, they will be renamed (perhaps to TextHandles, EdgeHandles and FaceHandles, or perhaps LabelHandles, LineHandles and FillHandles). For this reason, even if you find out in some future Matlab release that TextPrims, EdgePrims and FacePrims don’t exist, perhaps they still exist and simply have different names. Addendum November 11, 2017: The TextPrims, EdgePrims and FacePrims properties have still not changed their names and functionality. I explained a nice use for them in a followup post, explaining how we can modify the contour labels to have different font sizes and the same colors as their corresponding contour lines. Very nice post Yair, thanks. However, if I have a filled-contour plot and I would like to hide certain level of some value. For example, to hide levels of temperature equal to or greater than some upper limit for better demonstration. How can I do that ? @Diaa – as the post explains, you have direct access to all the separate contour labels and lines – you can hide/delete those lines and labels which your program’s logic decides should not be displayed. I have a mountain-like 3D surface plot and a value as a treshold. When I cut the 3D plot a the treshold level using contourf, it plots separeted surfaces. gives a figure with 3 delimited areas. I would like to display these areas in different colors, say yellow, green and blue. This seemed possible in the previous versions of matlab using, h.Children, but I can’t see how I could obtain the same result now that internal patches are not defined anymore. Do you perhaps know the answer ? I am sorry if this is trivial with all the pieces of information you shared already, I am a bit new to matlab and still could not figure this thing out. Thank you so much for your fruitful share about this. But I have a problem with saving the figure. For example, I want to change face color for different contour level. Once I change it, It show up immediately. However, When I save the figure, the changing goes away. It just save the original defaulted color. @Chunyu – when you save the figure, many of the undocumented customizations are reset by Matlab. If you are saving into a *.fig file format, then you can add your customizations to the figure’s CreateFcn callback (see here and here). If you are saving to EPS, PDF or some image format then try using the export_fig or ScreenCapture utilities.